We are so excited to shine the spotlight on Wendy Krispin Caterer this week! These amazing culinary couples featured on pages 68 through 72 in the inaugural issue of the Brides of North Texas magazine, are simply divine! When planning the perfect party for your guests try out these chic options of a signature cocktail paired with a themed appetizer. Your guests will love these tasty creations from Wendy Krispin! 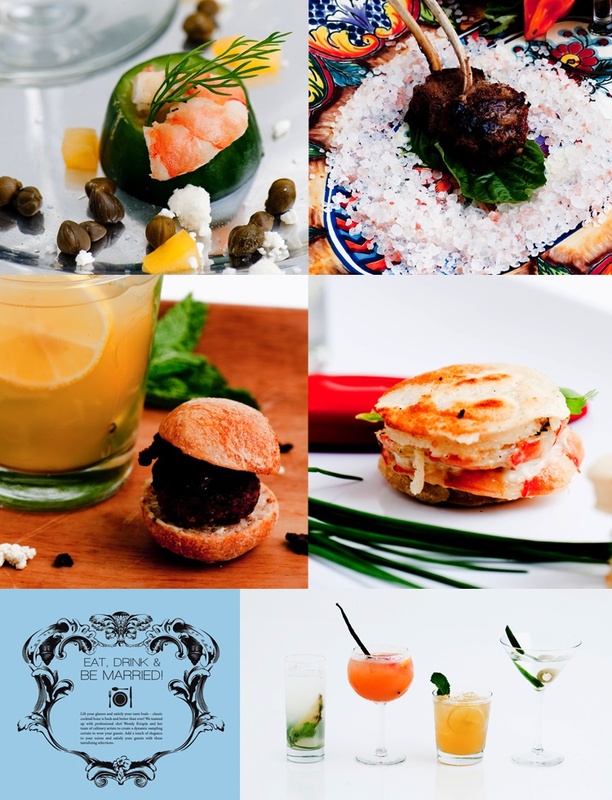 Try the Cuban Infusion for an elegant soiree or Country Club Chic for an intimate garden party, these options are sure to satisfy! These amazing photographs were captured by Josh Rodriguez Photography. Stay tuned each week as we share more incredible details and turn the spotlight on other fabulous North Texas wedding pros who made the magazine absolutely beautiful! « Previous Post: Feeling Lucky!